Kollu / Horse gram is a nutrition rich gram and called Horse Gram because of that. In Kongu (Coimbatore) region, kollu paruppu masiyal, kollu rasam and kollu thuvaiyal are very famous. These are surprisingly not famous in Chennai region. 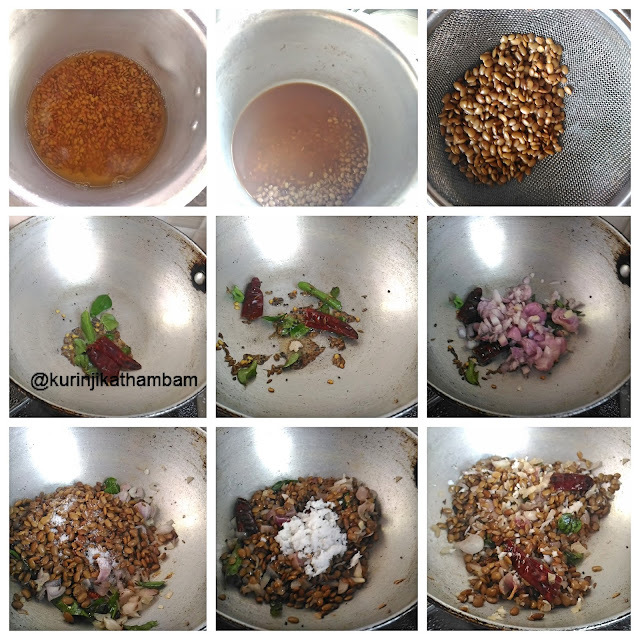 To get started on kollu, kollu sundal is a good recipe. Try this for this navratri festival season and then slowly introduce into your family’s diet. 1. Wash and soak the horse gram for 6-7 hours or overnight. 2. Pressure cook the horse gram with enough water for 3 whistles in medium flame or until it become tender. 3. After pressure has gone, strain the water completely and keep it aside. 4. Heat the oil in a pan then add mustard seeds and cumin seeds. Wait for popping. 5. Then add the curry leaves and broken red chilli. Fry for few seconds. 6. Now add the hing and fry for few more seconds. 8. Add the cooked horse gram and salt. Mix them well and close the lid of the pan. 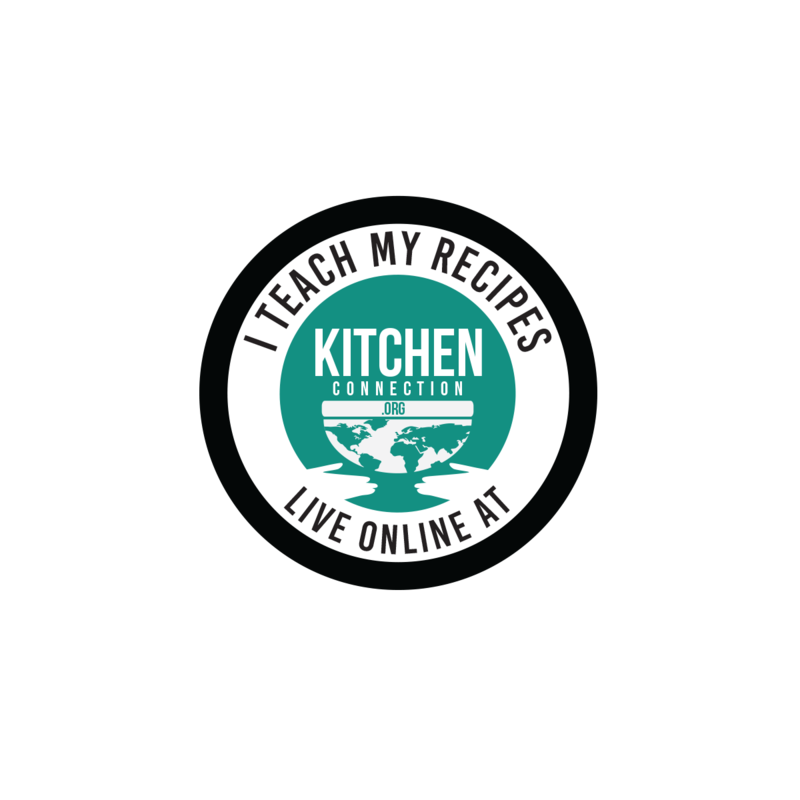 Cook in a low flame for 2 mins. 9. Finally add the grated coconut and mix them gently. Transfer it into a serving bowl and serve it hot. 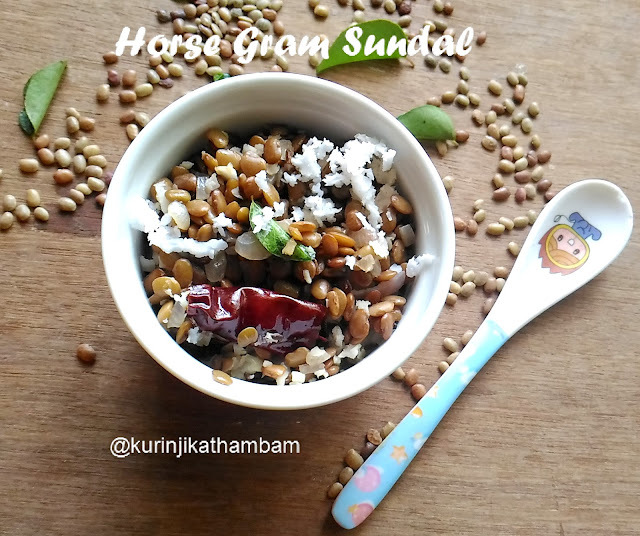 Healthy and tasty kollu sundal or horse gram sundal is ready. 1. Used the horse gram cooked water for making horse gram rasam or soup.